Thirteen individuals were treated for overexposure to pesticides in the air over the past five years, official figures show. According to the National Hospitals Information System, they required medical treatment at Mater Dei Hospital between 2013 and 2017 for a variety of symptoms linked to overexposure to pesticides used in farms across the island. The figures, tabled in Parliament by Health Minister Chris Fearne while replying to a written question tabled by Opposition environment spokesman Jason Azzopardi, indicate there were both one-off cases and acute sufferers. Patients who were treated by emergency response teams sent to farms or nearby homes but not taken to hospital were not included in the data provided. Information on the number of cases last year was still being compiled by the authorities, the minister said. Fruit and vegetables sold in Malta are among the worst in the EU in terms of excessive pesticide levels. The European Food Safety Authority reported that more than one in 10 local greens taken to the lab in 2016 were sprayed with chemicals that exceeded the legal limit. The European average was five times lower. 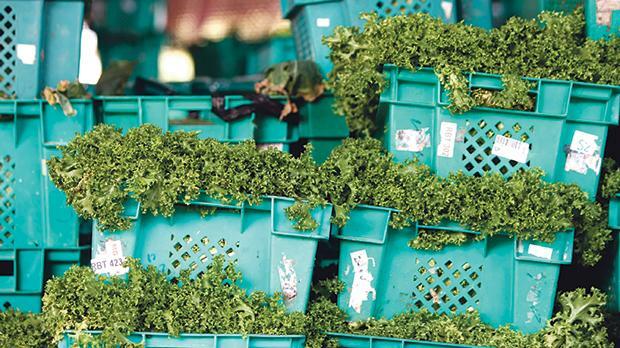 While the sampling methods used by the Maltese authorities testing chemicals in local and imported produce was found to be deeply flawed in some instances, it also emerged that some tests did show worrying overuse by some farms in Malta. The Times of Malta reported last year that one contentious pesticide linked to potentially-irreversible neurological impairments had the highest readings of all the overused chemicals on the island. The chemical, chlorpyrifos, is legal and commonly used in the EU but has just been banned in a number of US states after they appealed to reverse a decision made by the Trump administration to clear it. It is widely used on food crops in Malta and has repeatedly been shown to negatively impact proper development and functioning of the central nervous system and brain following prenatal exposure. In 2014, an awareness group conducted tests to establish whether residential proximity to agricultural pesticides during pregnancy was associated with autism spectrum disorders or developmental delay. It found about one in three pregnant women who lived within 1.5 kilometres of a farm spraying chlorpyrifos and other chemicals had an increased risk of bearing a child with some form of autism or developmental disorder.